Close the guidebook and open your mind – the first step to choosing a destination is to spend some time thinking about what kind of trip you want to take. What kind of experiences are you looking for? What do you want to achieve from your trip? The Summer Palace is a main destination for flashpackers looking for a bit of nature in the big city of Beijing. Your choice of destinations will be radically different if you are more interested in contemplation and soul-searching than bungee jumping and full-moon parties. Lounging in a hammock on a pristine beach might not be as appealing to some as trekking through the jungle in quest of gorillas. Figure out what the goal of your trip is, put it on paper and use it to guide you as you research those magical places that fit in with what you’re searching for. You have a goal, now what? Before you do any real research, keep the books closed and make a list of those places that interest you. Pictures in a magazine, stories from a friend, or cultures you’re curious about, the reasons don’t matter. First write down the places you dream of going and then see if it’s practical to get there on this trip. 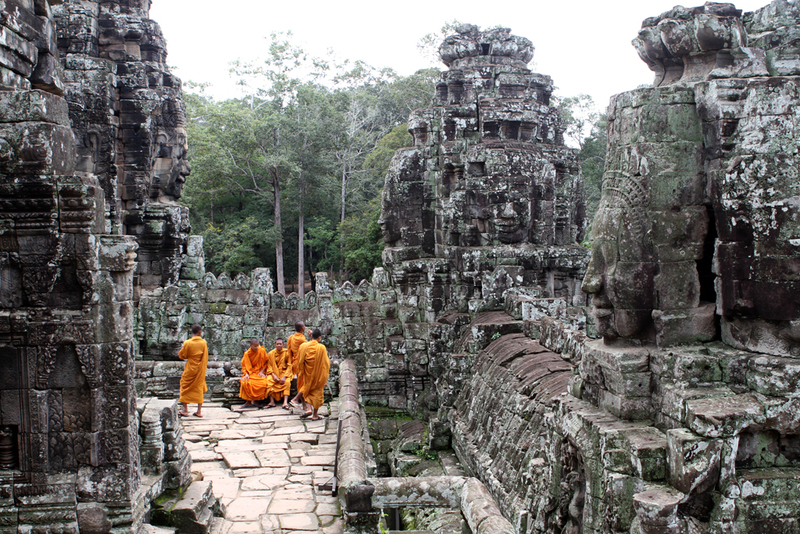 A group of monks explore Prasat Bayon at Angkor Thom in Cambodia. It is critically important to understand that you can’t go everywhere or see everything, and it’s best not to try. The most common travel mistake is to try and fit in too much in too little time. With a goal and a list of dream destinations in hand, it’s time to do some research. The Internet is a great source of information, but should be supported with other sources including libraries, guidebooks, travel agents, embassies, other travelers and friends. – One country, one region or a round-the-world trip? This will determine transportation, language and visa issues. – Stay in modern, first world countries or explore the developing, third world? Modern comforts and a variety of food choices vs much rougher living conditions. – What will the weather be like while you’re there? Going to the beach during a monsoon sort of defeats the point. – How far will your money go? 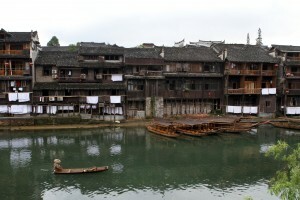 Fenghua, China is a small city known for it's old quarter and local tribes. – What will the travel infrastructure be like? High-speed trains or buses that tend to break down? Western style or squat-and-drop toilets? Prices and crowds go up in peak season, and deals are often readily available during the low season. Is there any kind of travel advisory for your choices? Are snakes, insects and other wildlife things I need to worry about? Talk with friends, find an online community, and read the guidebooks. Once you’ve made the decision on where to go, the hard part is over. All you have to do now is make it happen. Where do you plan on going and how did you decide? Great tips for planning a long adventure. 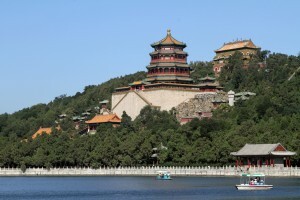 When we planned our RTW trip, the first thing we though was that we would be able to go everywhere and see everything. WRONG! Like you said, just eliminate that thought immediately. Slow is the way to go when traveling for an extended period of time. You WILL get burnt out. Like you stated, we made a list of must-see places, prioritized those, then went from there. Great advice for getting started on planning a trip of this magnitude. Thanks! Yeah, I learned the hard way when we were backpacking through Europe some years back. The trip I’m on now is all about taking it slow. In addition to avoiding burnout, you get to experience more of a place and it’s people. Solid advice Travis! Great post. When you make your “must see, must do” list, it always ends up longer than expected. Hence, we become travelers for life… the ultimate long adventure! Bookmarking and sharing with the hubby. 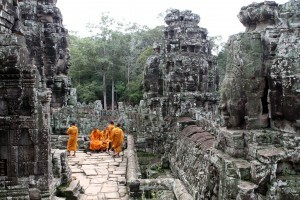 Planning a RTW trip starting in 2012. Thanks for all the great info! We’re planning on doing 2-3 weeks in each country and just visiting major cities – would you say this is plausible? We’re doing a RTW trip, but really by this we mean South and Central America, Europe, a stop in South Africa and Australia/NZ. 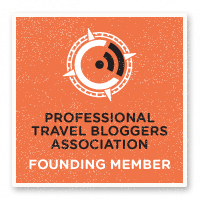 Yeh, I appreciate you for the post that is useful to select best travel destination. Choosing right travel destination can be long process, but it can be certain if you enjoy every part of the stay over there. All the above ways are very useful for those who are planing for traveling at good destination. You can also take your friends and family members advice, or find on internet because it’s one of the worth way to find right and enjoyable travel destination for you.